It’s a translation of the interview with Alexander Smirnov for Rsport.ru. 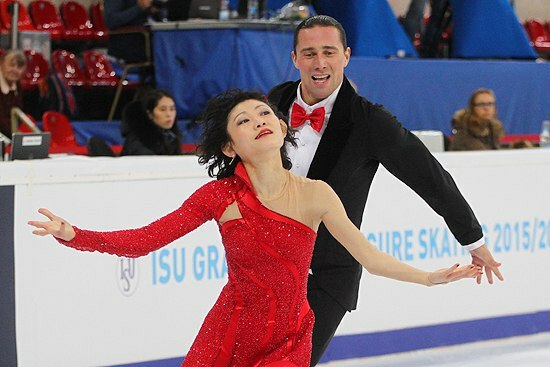 Alexander talks about Yuko Kavaguti injury, their career and plans for the future, quad throws, their free program “Manfred”, Volosozhar – Trankov, Stolbova – Klimov and Savchenko – Massot. Considering that pair Kavaguti Smirnov has faced lots of injuries in their career and now Yuko is again injured, and they will miss the World Championships, first questions was on this topic too. Yuko has received a serious injury once. Alexander: It was at the very beginning of our career when we were supposed to go to the European Championships. Landing from the throw triple loop – a fracture of the right leg, ligament rupture. Europeans went without us, but we recovered till World Championships, and there we were the best among Russian couples. Alexander: Completely different. This time Yuko’s injury is much difficult. Achilles tendon rupture – full, not partial – it’s not a joke. Therefore, the recovery will take much longer. But then, it was a cast too. Alexander: Yes, it was, but a lightweight one, with it we continued to train. It was a special “leg“, which allowed even to move foot a little, in that period we learned a lot of elements with landing on the other foot, in gym we did a lot of lifts. Alexander: We were fearless and young, recovered quickly, like a dogs. Now a lot depends on which will be the second cast, when it will be removed, and how the rehabilitation will go. Russian Figure Skating Federation (FFKKR) suggested a recovery center in Moscow region – a very serious and specialized. Maxim Trankov after end of European Championships in Bratislava once again broke out ideas about possible reform of your discipline. What to do with a pair skating? Alexander: There always were injuries. Yuko’s injury happened in a gym, after a warm-up, not on throw. I do not see in the pairs figure skating some terrible things, which certainly should be banned. On the throws not only heels break, heads hit. Alexander: Is it better in singles who had the same terrible falls after triple jumps? If do a throw correctly, it does not stand out from the general category of risk. What is the multi-turn throw from the methodological point of view? Alexander: There are several types. There is an athletic and powerful type – when the partner with all the force throws a girl higher than a board, she flies over a vast trajectory and lands like dejected on the ice. Most often on two feet, because it’s almost impossible to stand on one leg after this. The second – a uniform work of both partners. Maxim Marinin Tatiana Totmianina did perfect technically such kind of throws. Great flight, low trajectory, girl have a flow, because partner is watching here, gives her an average height. There is a third kind, when the lady does all the work herself, the partner just stands near and pretends that he is the chief, makes a spectacular move, smiles and waves … And in fact, he helps her quite a bit. Alexander: A matter of the constitution of the pair. The first type is more dangerous? Alexander: Generally, yes, because the girl is less in control of herself in the air, the height and flight are bigger, the hit on the ice is stronger, even if it comes on feet. Still you have the first type? Alexander: We try to do a second type. There are also throws with different emphasis – height or distance. Alexander: It is better try to make them evenly – in height and distance. Volosozhar and Trankov this year have struggled too. Did they surprise you in something? Alexander: At the beginning of the season I thought that they will keep elements on the same level, which allowed them to win the Olympics. They improved in artistry, that they do very well. As a sportsman, I’m happy that they came back with dignity, but to surprise me, it is necessary to do couple of quads throws. Maxim and Tanya can’t do it. And such with tremendous height. But throw – it’s a very difficult element for a partner, takes a lot of strength. Do it few times, and in the combination of two quads, even at training, and it’s a devastation inside. In the morning you come to the rink squeezed mentally, physically. And how to find a motivation for Kavaguti now? She’s not so young, and the injury is serious, and not the first one. But she is – a fan. Don’t you have thoughts of a friendly advice to stop her from the worsening of health problems? Alexander: There are many thoughts, but the main thing – to wait for her recovery. A lot will depend on the rehabilitators. Up to what level they will restore her? After the knee surgery I was told: “If you once again get the same injury, you won’t walk without crutches.” It was very difficult to push myself to do a jump, on which I got injury. I was battling with myself for a very long time, despite a great desire to skate. I worked in full strength, did all the elements, but in my head it was constantly spinning: life does not end on figure skating, and I do not want to stay with a cane or in a wheelchair. Therefore, we will approach to the question of continuing a career very reasonable. It will depend not only on the Yuko’s willingness. We’ll listen to physicians, and we with Tamara will watch her from the distance. But today there is no need to think about it. You’re a firm pair. Have changed neither partners nor coach. Alexander: Our pair is almost ten years old. There were many troubles and joys. I do not even remember, what hadn’t got. There has never been a desire to split up? Alexander: Well, we’ve never wanted to change Tamara, and maybe, at the time of my injury Yuko was thinking … Again, no one knew, will I come back to the sport or not. This season Ksenia Stolbova and Fedor Klimov get many compliments about their free program. Alexander: To be honest, I like their short more. It’s interesting and emotional. Ksenia this year is more opened and improved in emotional presentation herself on the ice. And free program…..I’m not a big fan of parallel skating, because I believe that pairs skating should move in the direction of ice dance – it’s performances, when people hold hands, it is something joint. Parallelism seriously violated the principles of pair skating? Alexander: Our pair skating started from parallelism. Earlier it considered very good, when the partners are going in parallel, close to each other and hold hands only for twists, lifts or throws. But then all these power elements were much less. It was just skating, simple steps sequence and spirals. Today, many skate in close holds, with transitions, and get apart only during jumps. Your free program to Tchaikovsky’s Symphony “Manfred”, you called one of the best programs in the history of pair skating. Alexander: And so it turned out, and mostly due to the fact that we were able to skate this program well, because it was prepared for the Olympics, on which we did not go, and then decided to work with it in the next season. Although, in Olympic year it would have been winning. Early this year Kavaguti said that “Manfred” is too strong for her. Alexander: (Laughs) Every year she feels it differently. Yuko told me more then once that when she manages to skate the “Manfred” in full force, then she feels devastation. But it is a pleasant feeling. She skates differently when it happens. Do you have an etalon of career? Alexander: How will be the career it’s not the most important thing for me. Alexei Tikhonov and Maria Petrova have been skating in a Velikov’s group for a very long time, guys do not become an Olympic champions, but they are, firstly, lovely people and great skaters, who successfully work in show and have a great family. Or Totmianina Marinin – win everything that is possible, but both have family, children, both are employed. And this is more important. 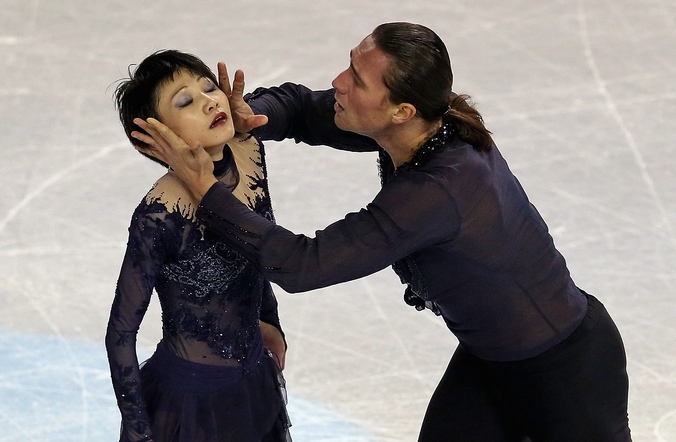 What impression did make Aljona Savchenko and Bruno Massot? Alexander: Only twist made an impression, but it was not level fourth, since it is they have done from a simple entrance. Alas, nothing more admirable. Not music, not skating, which is of very same style that she has with Robin. Virtually the same position – close heads, same hand position. All the same, only the partner is not as emotional and confident to demonstrate such high level as Aljona. Alexander: If he won’t pop lifts … (laughs). This is a joke. They must find their style, not to copy it from the past. While it’s “Savchenko / Szolkowy” of very good quality with a huge partner who failed even just to smile in the program. So it seemed on TV. Oleg Vasiliev once said that almost all resources in pair skating are concentrated in the group of Nina Moser. Is it a plus? Alexander: For the development of figure skating is a plus, but again, we do not have competition. Previously, it was with St. Petersburg, but our city can not pay such salaries, which Mozer can arrange for her athletes. Guys need to make a living – petrol, food and everything else. They can’t work in “McDonald’s” in the morning and to train twice in the evening. They got this resource, left to Moscow, succeed, and their portraits still hang in St. Petersburg. Well, in our group we don’t have a sparring partner. I was at the rink Medvedkovo at Oleg Kimovich (Vasiliev), there are a lot of couples, but they are young. This is not the level with which Bazarova Deputat should skate. What was the happiest moment in your career? 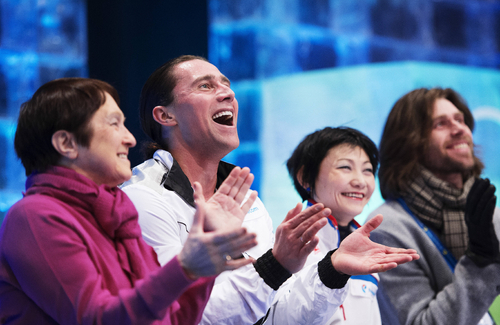 Alexander: One of the happiest – competition in Oberstdorf and my back to ice after the injury. It was an incredible emotional lift, the impulse of the soul. And happiest – the birth of my son Fedor.